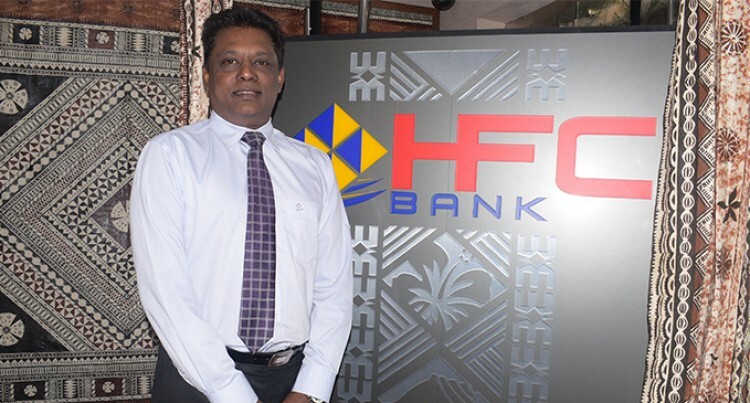 HFC Bank CEO Rakesh Ram on August 20,2018.Photo:Simione Haravanua. HFC Bank has recorded double digit profit for the financial year ending June 30, 2018. The financial report will be released in October. Chief executive officer Rakesh Ram highlighted that there were strong contributions from different market segments that led to the increase in profit. “We are now expanding to core commercial and corporate banking,” he said in an interview. “We have been able to win some good quality businesses in these segments which contributed to almost doubling of our profit for the last financial year. “We have diversified into other revenue streams, lending still remains as our core business but we have the opportunity to grow into areas like insurance, trade, treasury, foreign exchange, asset financing and other cross sell opportunities. “These are different sources of revenue which allows us to maximise our profit from that angle. “We have managed to look at our book quality and our provisioning of bad loans are well managed. In terms of challenges, he said there are a few issues which they are currently dealing with as a small bank. “We still have very high cost of liquidity which means very high cost of deposit. We need to work through a strategy, because our size has not really helped us with getting the right pricing for deposit. “We have very strong international banks whom we are competing with and who have better connectivity and ratings to be able to raise the deposit at lower prices. “Our ability to connect internationally as a small local bank is somewhat difficult especially doing transactions with international banks because not everybody recognises us like big multinational banks. Mr Ram said they are looking forward to another good financial year for July 2018 to June 2019. In terms of customer base, he said they are hoping for more because they haven’t really penetrated the corporate and commercial market. “We have got recent wins and we have whole opportunity in front of us to grow that. “When you grow the commercial and corporate market you not only grow the lending, you grow the foreign exchange, trade, insurance, credit cards, housing loans. The bank is also on the verge of upgrading its banking system and will also soon release its credit and debit cards.